You need to be a registered Kubota dealer to order this product. The suggested retail prices listed on this site are intended to give a general idea of what items may cost at your local dealer. Prices do not reflect or include dealers costs such as freight, COD fees, state or local taxes or other costs the dealer may incur. Prices often vary between dealers and different geographic locations. Wiedmann Bros. will not sell directly to members of the retail public. 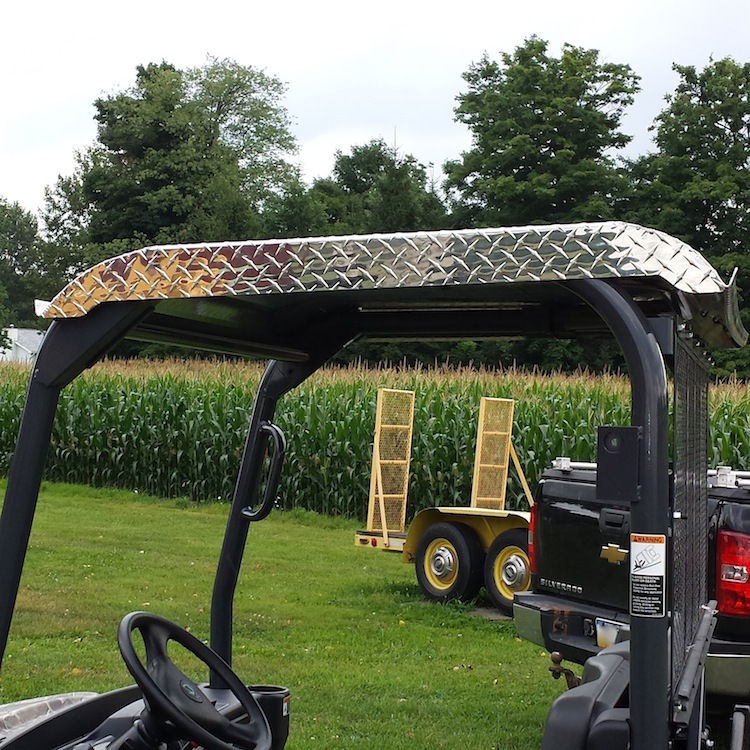 Want a durable canopy that will not only last, that is versatile but also protects your vehicle from all elements? Then, look no further! 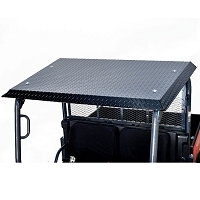 The diamond plate aluminum canopy with black powder coating is the accessory for you. Need to look or reach higher in work areas? 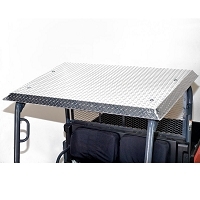 Or maybe get a better view on the trail when hunting, this canopy gives you the ability to use it as a platform. Sunshine or rainy days won't be issue. The rain gutter on the canopy adds significant weather protection. No one likes a canopy that shakes or rattles while hitting the hard pavement or trails, which is why this canopy keeps quiet so you can enjoy driving your Kubota RTV and the activities that go with it. 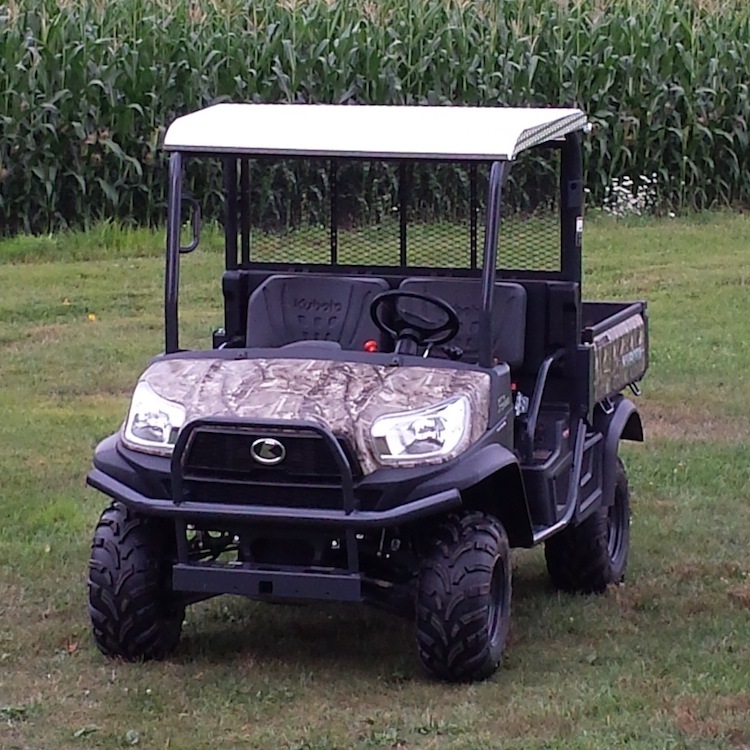 This is the perfect addition for your RTV! You deserve a product that can handle the hard work days ahead! ! Q: IS it compatible with the other windshields, just not the factory glass? A: This roof is compatible with our polycarbonate and acrylic windshields. The roof sits flush to the top of the roll bar, so any windshield that does not extend above or outward of the roll bar should work just fine. Q: what windshield will work with this top? 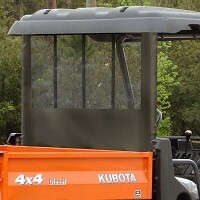 Kubota logo and images are registered trademarks ® of Kubota Tractor Corporation.